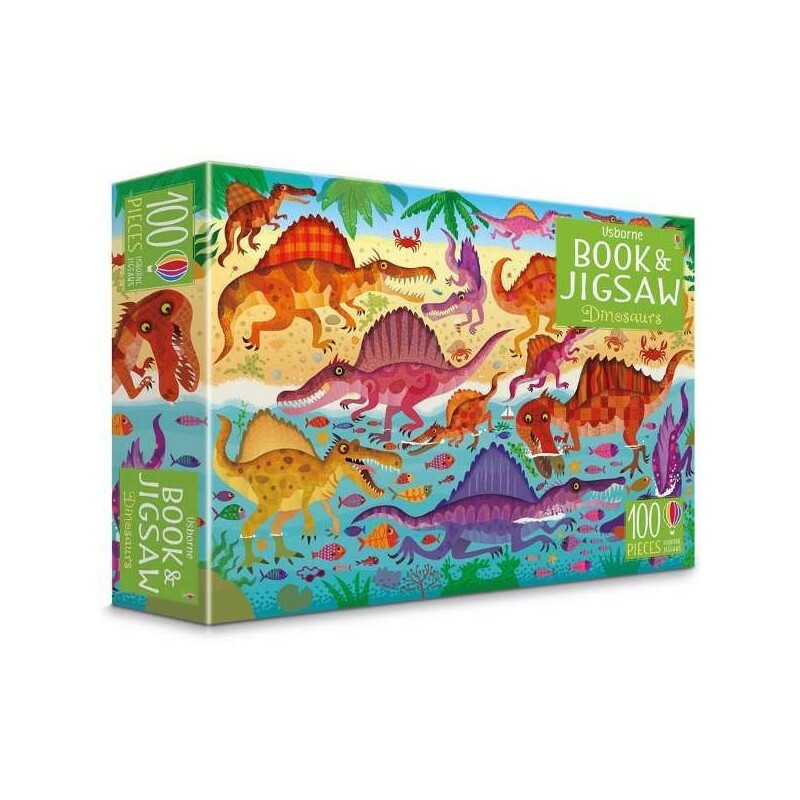 A stunning 100-piece jigsaw crammed with dinosaurs plus a 24-page picture puzzle book presented together in a colourful sturdy box. 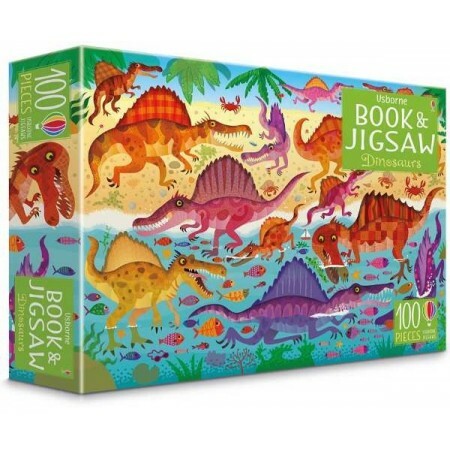 The jigsaw measures 59 x 40cm and the picture puzzle book is packed with things to spot and talk about. Can you spot a dinosaur wearing a watch or eating an ice-cream? How about a pair of goggles, a key and lots more? Written by Sam Smith. Illustrated by Gareth Lucas. Colour illustrations. 24 pages, plus 100-piece puzzle. Box: 31cm x 21cm.